Writing for this week's Spectator the anti-war Peter Oborne says that David Cameron's pro-Iraq-war policy makes him a lot like George W Bush (although DC recently declined to say that he would have voted for the re-election of America's 43rd President). Mr Oborne cites the support of many of DC's closest colleagues - George Osborne, Michael Gove and Ed Vaizey - for the recently launched Henry Jackson Society and its neoconservative beliefs. Support for Israel is a key belief of many neocons and David Cameron has firmly established himself as a Conservative Friend of Israel. Mr Davis and Mr Cameron answered a number of questions on a wide range of subjects including, support for Israel, the peace process, Islamic fundamentalism and the rise of anti-Semitism. Asked why Conservatives should support Israel, David Cameron stated “that Conservatives recognize Israel’s unique position as a lone democracy in a region that currently boasts no others. …Israel is in the frontline against terror”. Mr Cameron stressed that: “Conservatives also recognise Israel’s unique position as a lone democracy in a region that currently boasts no others. I am a strong admirer of what Israelis have achieved in the fields of science, the arts, business and philanthropy, and of the immeasurable contribution of Jewish culture to our own society”. David Davis observed that: “Israel as a force for good in the wider world….Conservatives share many of the same values and outlook as Israel. Quite naturally therefore we should work closely together”. On a peaceful solution to the Middle East conflict, Mr Davis stated that he preferred a two state solution. Mr Cameron added: “a long term resolution of the conflict, depended on the creation of a fully democratic Palestinian state: “two states, two democracies living side by side”. On Palestinian corruption, Mr Cameron has urged the Palestinian Leadership “to live up to its responsibility to end the corruption, violence, prejudice and terrorism which has blighted their people’s prospects”. On terrorist attacks against Israel following the Israeli Disengagement from Gaza, Mr Davis stated “We also need to bring pressure to bear, together with the international community, on Palestine that with a new state goes responsibility to maintain order and take whatever measures are necessary to stop unacceptable attacks on the neighbouring Israeli state”. Lets hope either candidate will provide some balance to the unpleasant anti-Israel consensus amongst our liberal institutions! So Israel's a democracy then? In that case, why doesn't she let everyone inside her borders have the vote in Israeli elections? I'm curious, and look forward to hearing all of the well-reasoned answers. Their voting system couldn't be any purer in terms of proportional representation - although the list system causes uneasy coalitions. It just shows the prejudice out there at the moment that in a survey of what people thought about dozens of countries in the world, Israel came out as one the most undemocratic! "Lets hope either candidate will provide some balance to the unpleasant anti-Israel consensus amongst our liberal institutions!" Perhaps if Israel fulfilled some of its obligations under international law, people would be more kindly disposed towards it. Peter Oborne's article was banal - he is all over the place. Since you have a problem with this Hampstead Woman perhaps you might review that other ethnically-constituted 1947 creation - Pakistan. "So Israel's a democracy then? In that case, why doesn't she let everyone inside her borders have the vote in Israeli elections? " She does. Most of our neighbours don't. "Perhaps if Israel fulfilled some of its obligations under international law, people would be more kindly disposed towards it." 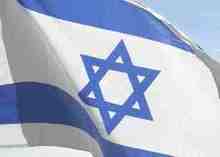 Israel comes much closer to fulfilling such obligations than its enemies do. Hamstead Woman - Which borders? - as far as I am aware anyone who is a ctizen of Isreal (which includes Jews, Arabs - Muslim & Christian - and other religions/racial groups - Circassians, Druze - within the pre-1967 borders) has a vote. This franchise is extended to Israeli citizens in occupied territories. Israeli non-Jewish minotities enjoy the same rights as Jewish Isrealis - with addition for arabs that they are excluded from compulsory national service. Palestinians in occupied teritories enjoy the right to vote for Palestinian authorities. Of course Israel could grant the Palestinians Istreali citizenship but that would mean annexing the Gaza Strip & West Bank. A country can be both a democracy and occupy foreign territory - seem to think we've done that more than a few times. The rights or wrongs of occupation have little to do with democracy in the occupying power. Peter Oborne is one of those unfortunate people that cannot help spitting and spluttering any time someone mouths the word "Bush". Okay, after all that we have learnt that 'Israel: the democracy' *does not* give the vote, in Israeli elections, to everyone living inside the borders Israel claims as its own. For your next question, does anyone want to have a stab at how many people - born inside Israel's current borders - are thus disenfranchised? After Sharon's brave decision to leave Likud to further the course of peace it is important that the international community are on hand to contribute to a cessation of violence in the Israeli / Palestinian lands. I'm not suggesting we should interfere in the Israeli election, but some careful tactical support for Sharon could give peace in the region the best chance in a generation. "Okay, after all that we have learnt that 'Israel: the democracy' *does not* give the vote, in Israeli elections, to everyone living inside the borders Israel claims as its own. " "For your next question, does anyone want to have a stab at how many people - born inside Israel's current borders - are thus disenfranchised? " None. Check your facts, rather than your prejudices about Jews. John: Israel has claimed and indeed formally annexed East Jerusalem and the Golan Heights (blatantly illegal, but that's another matter). It has never attempted to formally claim the West Bank or the Gaza Strip - although the Likud party consitution does so. Had the state followed this, this would leave Israel in the situation of a) having to give the vote to the natives, or b) driving them out. Although some of the nuttier elements in Israeli politics would indeed like to do the latter, neither was ever likely to happen. Thus, Israel's situaiton in the West Bank is stuck in a limbo. Permanent occupation without annexation allows Israel to retain control of the West Bank, but without the problem of having a Palestinian majority in a supposedly Jewish state. "Israel comes much closer to fulfilling such obligations than its enemies do." Well that's open for debate (and I'm certainly no apologist for Iran or Syria) but just because some countries are considered worse offenders than Israel, it does not automatically follow that Israel should be excused its obligations. No, but it does mean that it's hardly reasonable to expect them simply to rely on the goodwill of those who want to "wipe them off the map" (to coin a phrase). I've done a quick google for you Mr Fear, and you keep some strange company. As I'm not using my name, by all means accuse me of whatever you want. But for all that, I know more about what it is to be on the receiving end of anti-semitic abuse than you ever will. Of course, since you seem to be a regular on the odious, racist, pro-BNP and invariably anti-semitic 'Conservative Democratic Alliance' site, you have every right to be sensitive on this front. Try reading up on Israel before you make your blanket assertions (here's a place to start: http://www.countercurrents.org/pa-abunimah290603.htm) too. Israel's borders (you can recognise them easily when you next visit Mr Fear, it's where the IDF check your passport)includes, well, no one has answered yet, but we'll see if someone comes to this thread who knows quite how many people there are in the occupied territories who, as of birth, are denied a vote in the state they've been born in. If Israel wants to become a democracy again, it can do one of two things: (1) give the vote to those in the territories we occupy, or (2) get out of the territories. I'll come back to this thread later this evening to see if anyone knows how many people are disenfranchised in 'Israel: the democracy'. "Israel does not give the vote, in Israeli elections, to everyone living inside the borders Israel claims for its own." Even assuming that is true (and I'll let other comment on the truth of that claim), that doesn't disqualify Israel from being a democracy. No democratic country allows "everyone living inside the borders" to vote. Put another way, by the standard quoted above, no nation is, or ever has been, a democracy. In the UK, for example, 12-year olds "living inside the borders" and born here nonetheless don't have the vote, nor do resident aliens. Before accusing Israel of being undemocratic, let's all exercise a little more intellectual rigor on the standards by which one judges "democracy". Bruce, don't talk such twaddle - it's obvious that "Hampstead woman" meant everyone who is normally eligible (over 18s/21s whatever) to vote!!!! And in the Palestinian areas ruled by Israel, those people, those adults DON'T have the vote in Israeli elections. It's exactly as if we in the UK didn't given the vote to people (i.e. over 18 year olds, in case someone wants to be obtuse!!) from West Belfast because they were Catholics. If Cameron is so neo-Con, why was he so wobbly on Iraq? Or is this another firm conviction that he's just acquired? The List System is inherently undemocratic - it has done Israel little good and in the case of Germany it has condemned the system to stasis. Helmut Schmidt was right in that Germany should move to a constituency-based majoritarian system and away from the List which makes it impossible to get rid of long-serving Party loyalists since they just sit on the top of the List. Cameron as far as I'm aware isn't 'wobbly' on Iraq at all.So far as I'm aware he has supported the war throughout.I think he's wrong. So far as I'm aware he has supported the war throughout.I think he's wrong. Strange expression "support the war".........we are stuck in a hole and need to extricate ourselves but that takes time so it is simply a question of putting some structures in place - we spent 300 years in India and withdrew in 6 weeks causing havoc and bloodshed on a major scale and leaving politics in Britain bedevilled with the mess in Kashmir. So I would prefer to support the Army in Iraq and find a way to get out without having any backwash like we have over Kashmir. "Cameron as far as I'm aware isn't 'wobbly' on Iraq at all." I agree, he doesn't seem to be now. But he was certainly not in favour of our action in the first place. What I'm asking is: what made him change? Nothing wrong with changing, but it is in a very unusual direction - to give such a strong neo-con speech having been sceptical of the need to invade Iraq! It makes me wonder, naturally, whether he didn't really have particularly developed views at all, but now has come under the direction of Michael Gove. Which would be just fine by me. So long as he also stays under that influence!